MUMBAI, India—HARMAN Professional Solutions, the global leader in audio, video, lighting and control systems, today announced that Soundcraft by HARMAN Vi Series digital mixing consoles have established a significant footprint in India’s pro audio market with continued growth thanks to organic word of mouth throughout the industry. The Soundcraft Vi Series is a family of large-format digital mixing consoles that offers audio engineers intuitive control over as many as 128 inputs and 32 auxiliary busses. Vi Series consoles are popular choices among audio professionals in a wide range of audio applications, including pro tours, performing arts theaters, houses of worship, stadiums, live broadcast and more. One of most unique features of the Vi Series is its Studer Vistonics touch screen interface, which makes it easy to manage complex mixing jobs with unmatched simplicity. In addition to their intuitive workflow, Vi Series consoles are constructed with a sturdy aluminum chassis to hold up to rigorous use by world-class mix engineers, touring acts, rental companies, music festivals, top venues and more. 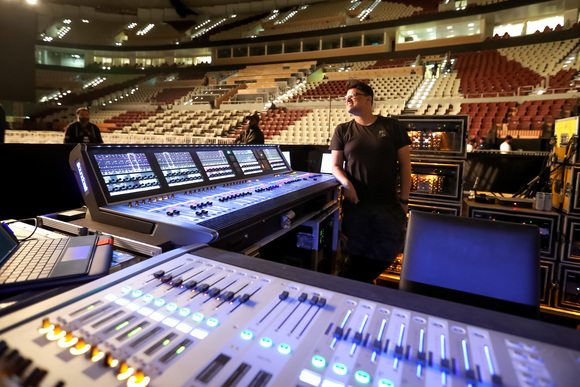 Soundcraft Vi Series consoles have earned a special place in the inventories of industry professionals thanks to their renowned user-friendly controls and intuitive operation. The Vi Series’ unrivaled integration of touchscreen control is one of the most commonly cited reasons a growing number of audio engineers and technicians throughout the industry are relying on Vi Series consoles.